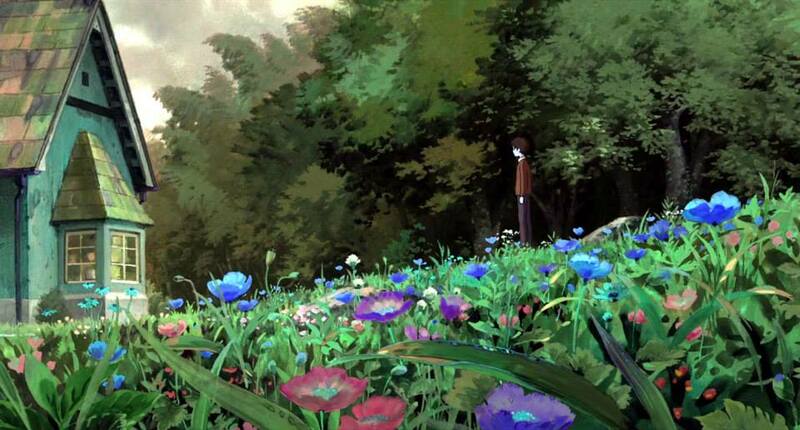 The Secret World of Arrietty Scenery. The Secret World of Arrietty. HD Wallpaper and background images in the Studio Ghibli club tagged: photo the secret world of arrietty scenery hiromasa yonebayashi studio ghibli 2010 animated film. This Studio Ghibli photo might contain oleander, rose bay, nerium oleander, baía, oleander de nerium oleander, rosa, flowerbed, cama de flor, cama de flores, canteiro de flores, flor-cama, and buckeye vermelho.